High-Availability cluster aka Failover-cluster (active-passive cluster) is one of the most widely used cluster types in the production environment. This type of cluster provides you the continued availability of services even one of the node from the group of computer fails. If the server running application has failed for some reason (hardware failure), cluster software (pacemaker) will restart the application on another node. Mostly in production, you can find this type of cluster is mainly used for databases, custom application and also for file sharing. Fail-over is not just starting an application; it has some series of operations associated with it; like mounting filesystems, configuring networks and starting dependent applications. 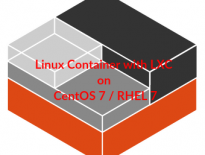 CentOS 7 / RHEL 7 supports Fail-over cluster using the pacemaker, we will be looking here about configuring the apache (web) server as a highly available application. As I said, fail-over is a series of operations, so we would need to configure filesystem and networks as a resource. For a filesystem, we would be using a shared storage from iSCSI storage. All nodes are of CentOS Linux release 7.2.1511 (Core), running on VMware workstation. Shared storage is one of the important resources in the high-availability cluster, it holds the data of a running application. All the nodes in a cluster will have access to shared storage for recent data, SAN is the most widely used shared storage in the production environment; here, we will configure a cluster with iSCSI storage for a demonstration purpose. Here, we will create 10GB of LVM disk on the iSCSI server to use as a shared storage for our cluster nodes. Let’s list the available disks attached to the target server using the command. Install the targetcli package on the server. Once you installed the package, enter below command to get an iSCSI CLI for an interactive prompt. Created block storage object iscsi_shared_storage using /dev/vg_iscsi/lv_iscsi. Enable and restart the target service. Configure the firewall to allow iSCSI traffic. It’s the time to configure cluster nodes to make a use of iSCSI storage, perform below steps on all of your cluster nodes. Discover the target using below command. Edit below file and add iscsi initiator name. Login to [iface: default, target: iqn.2016-03.local.itzgeek.server:cluster, portal: 192.168.12.20,3260] successful. Restart and enable the initiator service. Go to all of your nodes and check whether the new disk is visible or not. In my case, /dev/sdb is the new disk. Finally, verify the LV we created on node1 is available to you on all your remaining nodes (Ex. node2) using below command. You should see /dev/vg_apache/lv_apache on all your nodes. Make a host entry on each node for all nodes, the cluster will be using the host name to communicate each other. Perform tasks on all of your cluster nodes. Install cluster packages (pacemaker) on all nodes using below command. Allow all high availability application on the firewall to have a proper communication between nodes, you can skip this step if the system doesn’t have firewalld installed. Use below command to list down the allowed applications in the firewall. Set password for hacluster user, this is cluster administration account. We suggest you set the same password for all nodes. Start the cluster service, also, enable it to start automatically on system startup. Remember to run the above commands on all of your cluster nodes. Authorize the nodes using below command, run the command in any one of the node. Enable the cluster to start at the system startup, else you will need to start the cluster on every time you restart the system. Use below command to get the status of the cluster. Run the below command to get a detailed information about the cluster including its resources, pacemaker status, and nodes details. 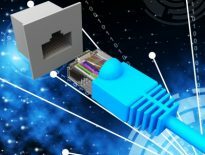 The fencing device is a hardware / software device which helps to disconnect the problem node by resetting node / disconnecting shared storage from accessing it. My demo cluster is running on top of VMware Virtual machine, so I am not showing you a fencing device setup, but you can follow this guide to setup a fencing device. Install apache server on both nodes. Add below content at the end of file on all your cluster nodes. Now we need to use shared storage for storing the web content (HTML) file. Perform below operation in any one of the nodes. Allow Apache service in the firewall on all nodes. Create a filesystem resource for Apache server, this is nothing but a shared storage coming from the iSCSI server. Create an IP address resource, this will act a virtual IP for the Apache. Clients will use this ip for accessing the web content instead of individual nodes ip. Create an Apache resource which will monitor the status of Apache server and move the resource to another node in case of any failure. Since we are not using fencing, disable it (STONITH). You must disable to start the cluster resources, but disabling STONITH in the production environment is not recommended. Once the cluster is up and running, point a web browser to the Apache virtual-ip, you should get a web page like below. Let’s check the fail over of resource of the node by stopping the cluster on the active node. Thanks everyone for reading, please let us know your thoughts in comment section.